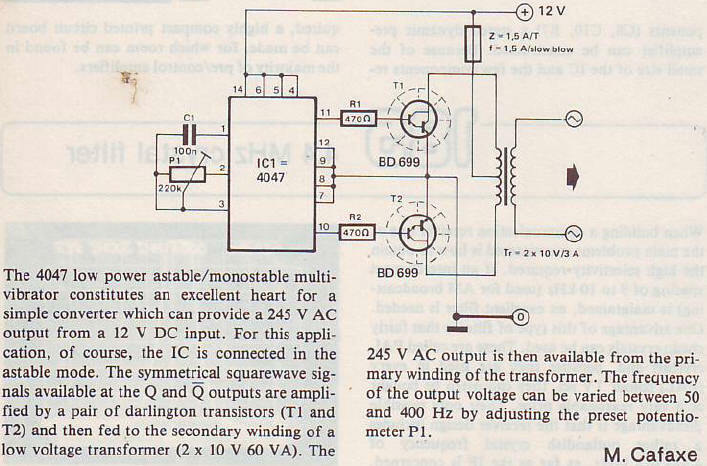 This is the other model for generating AC voltage from DC voltage. The key for successfully at project to produce 220-245V AC is use 2x10V for low side of induction and high side 110-220 V AC. The battery it still 12 DC for source no change.